Brochures, order forms and other printed support material will be delivered to your school. These should be handed out to pupils on the first day of the project. Parents should be made aware of the project and its aims via information letters. These letters can already be sent out with reports in December. Parents must be motivated to ensure participation. Orders can be placed by means of order forms. We recommend that , during the duration of a project, register period is, amongst others, used to collect order forms and monies. A consolidated order is to be placed by the school on the last day of the project. Payments to Señor Chef will be cash with order and an invoice will be issued to the school within 2 days. All products will be delivered to the school, after payment has been received. Revert to the time schedule for the 2019 projects. application form. Send you application form to dewet@senorchef.co.za. You will be contacted within 10 workings days, to be notified whether your application was successful. We offer two projects, A and B, each with different products for sale. A project runs for 2 weeks. Project A is available in term 1, 2 or 3; whereas Project B is only available in term 3. Schools can participate in one or both projects yearly. Only one project can be done per term and projects can’t run in consecutive terms. The entire fundraising objective for a school can easily be reached within the 2 week duration of a project. Señor Chef branded products are sold as refills that are suitable for standard 100ml spice bottles. These products are small and light to handle, cannot be damaged or broken and is cheaper because of packaging. 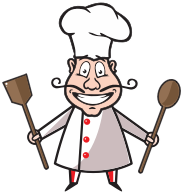 Your school receives 25% of all sales during the course of a Señor Chef project! Let’s put that into perspective. Let’s take an average size school with 600 pupils. If each pupil only gets an order of R199 at their own homes, the total turnover is already R119 400. From this the school gets R119 400 x 25% = R29 850. BUT WAIT: Each pupil receives 5 order forms. Imagine the turnover if each pupil returns all 5 completed order forms. A school can earn commission of far more than R100 000 in 2 weeks! Would you like your school to take part in the Señor Chef school fundraising project? 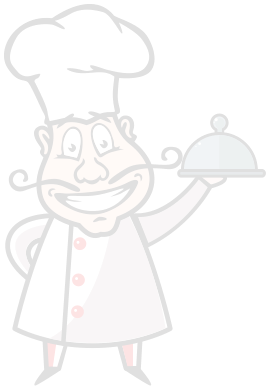 Complete the application form to find out whether your school qualifies to take part in the Señor Chef school fundraising project.